Are you ready for the best salmon steak recipe you will ever try? 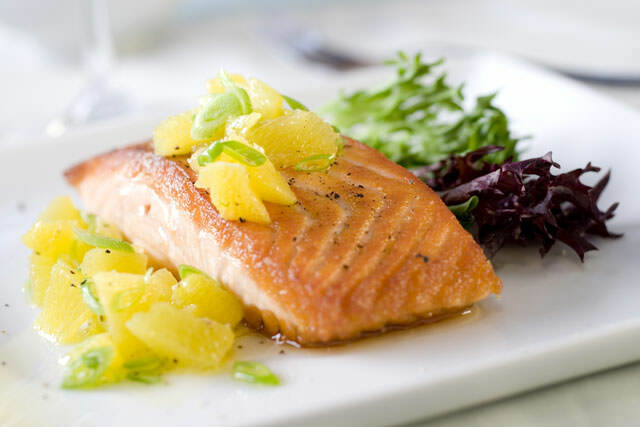 If your answer is yes, then read on and learn how to prepare a delicious piece of salmon in the healthiest way possible. If we might suggest a side dish, go with roasted asparagus. It goes perfect with this salmon dish. Preheat a large skillet over medium heat for about three minutes. Coat the salmon fillets with olive oil. Put them in the skillet and increase the heat to high. Cook for three minutes. Sprinkle the fillets with salt and pepper and capers. Flip the fillets over and cook for five minutes. When the salmon can be flaked with a fork, it is done. Put the fillets on individual plates and garnish with lemon.